Remembering my sad interviews with Edith Davis and Michael’s sister for my “Wrongs of Passage” book. This is a fine Southeast Missourian remembrance about Michael Davis as 25 years passes after his death. Story by Michael Bliss. 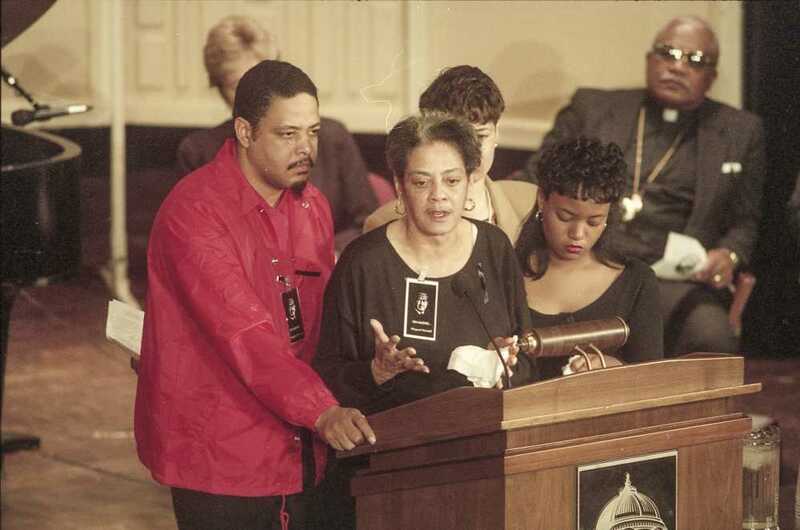 Edith Davis speaks at a memorial service in 1994 for her son, Michael Davis, with her son, Boyd Davis Jr., and daughters, Marisa Hilliard and Candace Davis, at her side. The service was held in Academic Auditorium at Southeast Missouri State University. 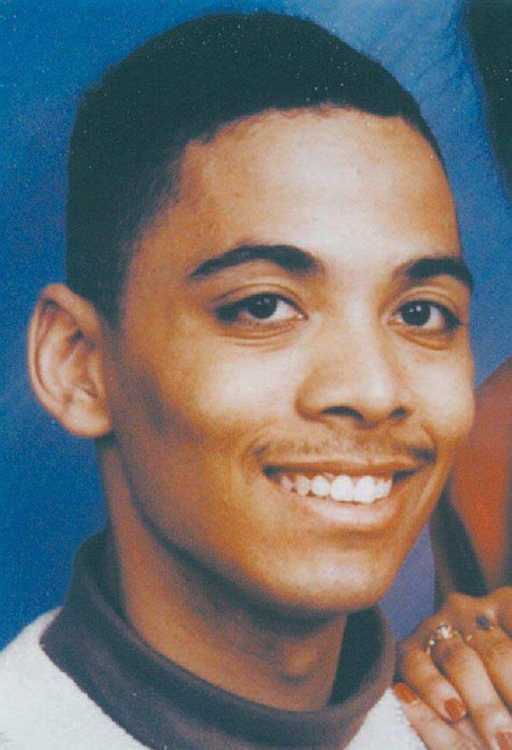 Michael Davis was punched, slapped, slammed and caned for days before he died 25 years ago today, the victim of a brutal fraternity hazing ritual at Southeast Missouri State University. The deadly attack had far reaching consequences. The incident drew national media coverage and focused the spotlight on the culture of hazing on college campuses. More than a dozen men associated with Kappa Alpha Psi, a traditionally black fraternity, were prosecuted in connection with the hazing, including seven who were charged with involuntary manslaughter. Sentences ranged from probation to incarceration. The fraternity was banned from Southeast. The Missouri Supreme Court upheld the constitutionality of the state’s anti-hazing law when one of the fraternity members appealed his conviction. The case prompted later legislative changes elevating serious hazing incidents to felonies.